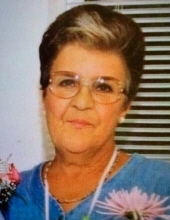 Jeanne M. Sparks born 12-29-1940 passed away on 11-13-12018. Survived by Daughter Candace Betz-Gober husband Steve Gober; Son, Randy Bresee; Brother Paul Heimann; Grandchildren, Edmund J. Betz and wife Lauren, Breanna Baker, Brandy Camfield, Jamie Bresee and Dusty Bresee; Great-grandchildren, Cailyn, Logan, Cameron, Caden, and Cole. She is also survived by niece, Nicole Keltz and nephew, Chris Heimann. Jeanne was preceded in death by both parents, Edmund and Nell Heimann, and by her brother John Heimann. Jeanne was known by Mom, Mimi and Dodo and could make anyone laugh with her since of humor. She loved to sing and play music. Her voice was close to Loretta Lynn's and she even had the pleasure of singing with her. As far back as I can remember as soon as we were in the car she would start singing to the radio. She was very creative and loved crafts such as knitting, crocheting, sewing and oil painting. She could make anything out of yarn or material. She was also an avid reader and could not get enough books. She loved her outings to go book shopping or to lunch with life long friends Phyllis and Barbara. She talked about the library and book store searches and all the great finds. Mom had many friends and touched the life of everyone she came in contact with, even when she was having trouble breathing in the ER she had the nurses laughing. She loved her grandkids and spending as much time as she could with them. To send flowers or a remembrance gift to the family of Jeanne Marie Sparks, please visit our Tribute Store. "Email Address" would like to share the life celebration of Jeanne Marie Sparks. Click on the "link" to go to share a favorite memory or leave a condolence message for the family.